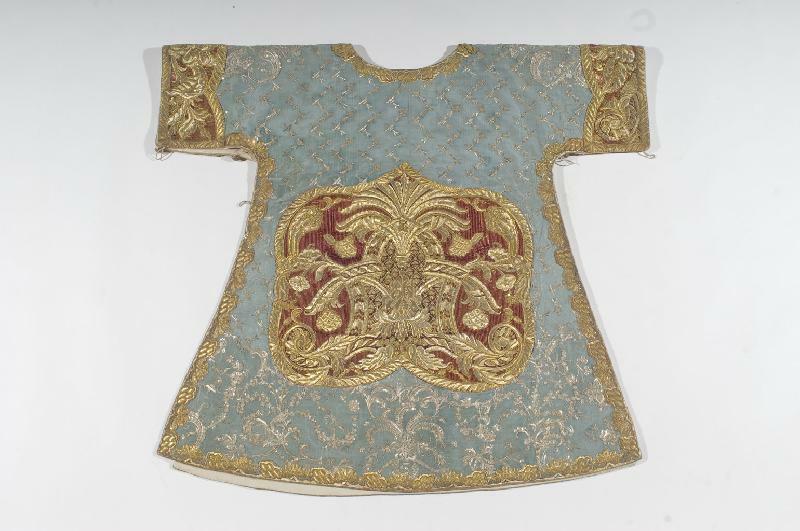 Continuing on with our consideration of the vestment arts, today I wished to quickly share with readers this set, made in Austria in 1751 and housed now in the Archdiocese of Gorizia, Italy -- which diocese happened to be founded in the very same year. The set is made from a blue damask and embroidered with gold thread that is set on red. The shape is what we would generally tend to consider Spanish -- though very much moderated in its proportions. 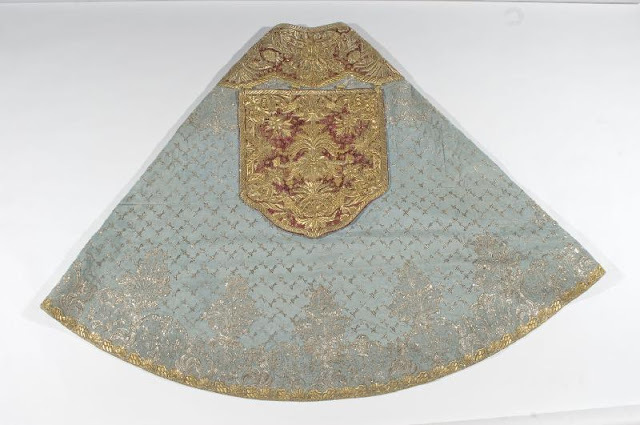 While three pieces are shown here, the real star of the show, design wise, is the chasuble -- however we would be remiss to not show the other pieces of this set as well of course. Particularly appealing in the chasuble is the quality of the embroidery and the harmoniousness of the design in relation to the greater whole. It brings with it a sense of great refinement and quality. Admittedly I am less impressed with the design of the cope and dalmatic, however one gets the sense that when worn and seen as part of the greater set, these would then come off much better. The cope in particular seems "top heavy" design wise when seen displayed so, but when worn and allowed to drape naturally, the designs of the blue damask would gather and, I suspect, reduce that seeming top heaviness. 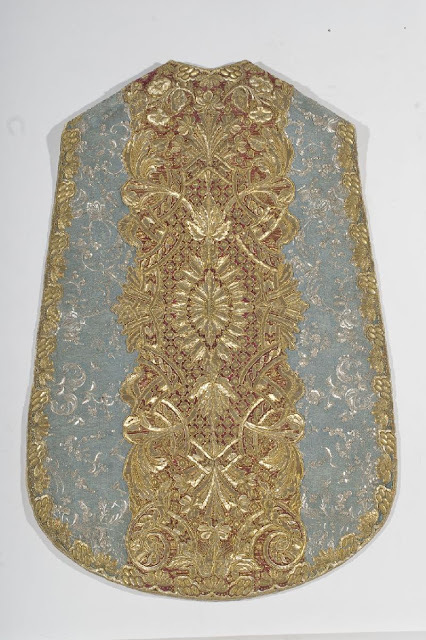 As for the chasuble, a truly exquisite example all around.